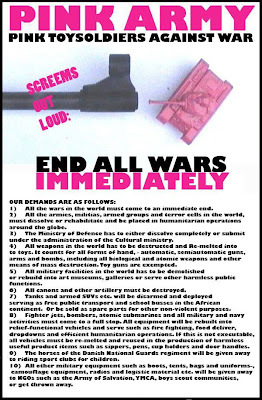 Meet The Pink Army, who wants to end all war by invading cities around the world with pink toy soldiers. No, really. Also listed below are their list of demands. It's so completely ridiculous, I don't think I'm even going to take the time to point out why.